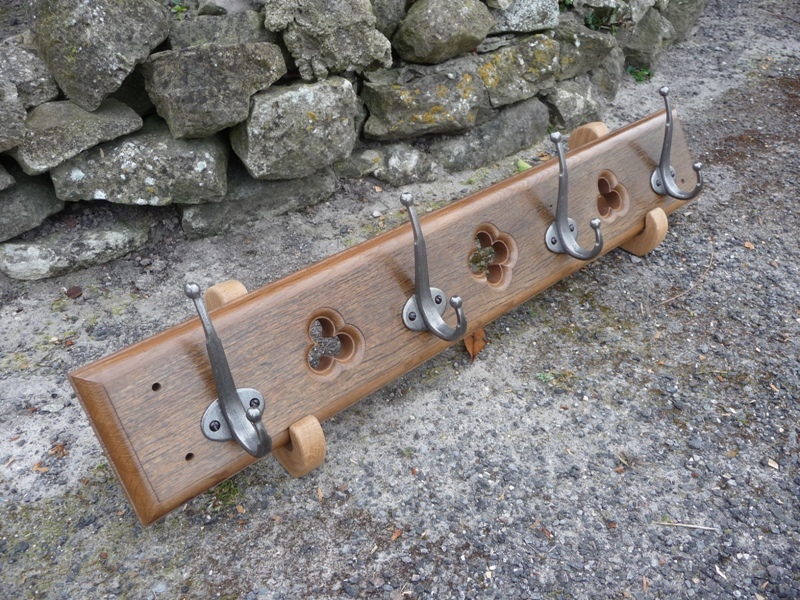 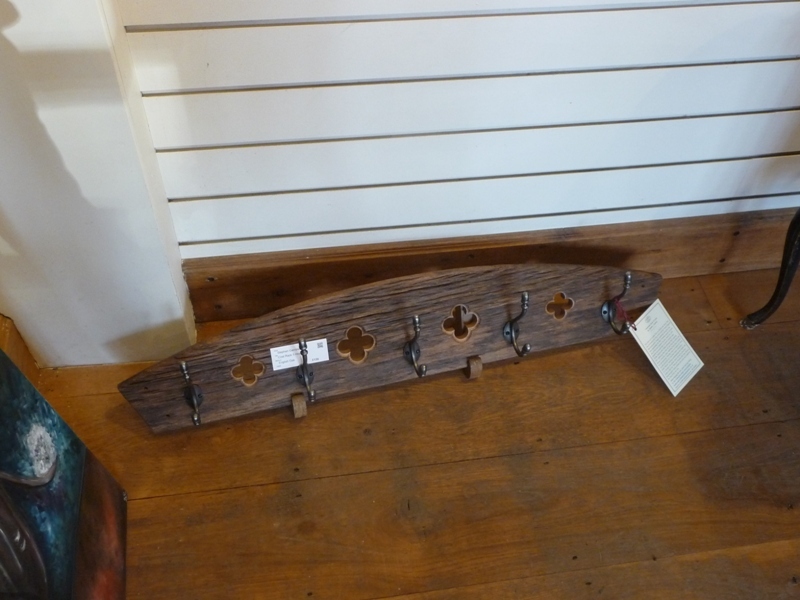 Fresh from Hooked on Hooks is this beautiful Gothic-look hat & coat rack made from a 300-year-old English oak floorboard. 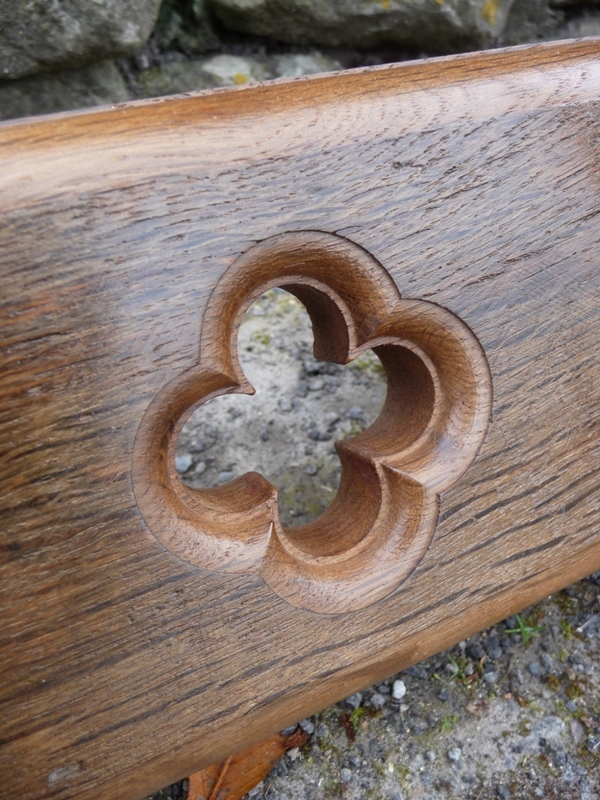 All about the wood, the plinth features a church-like row of quatrefoil cut-outs. 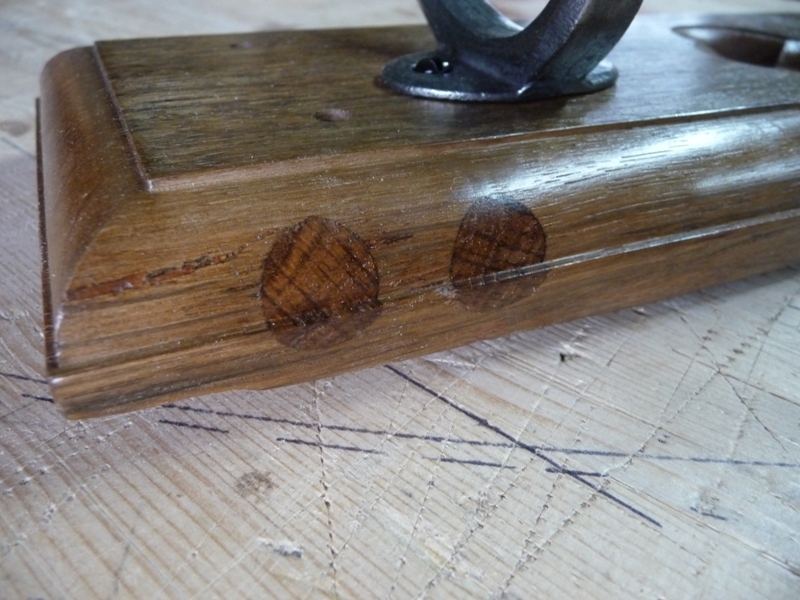 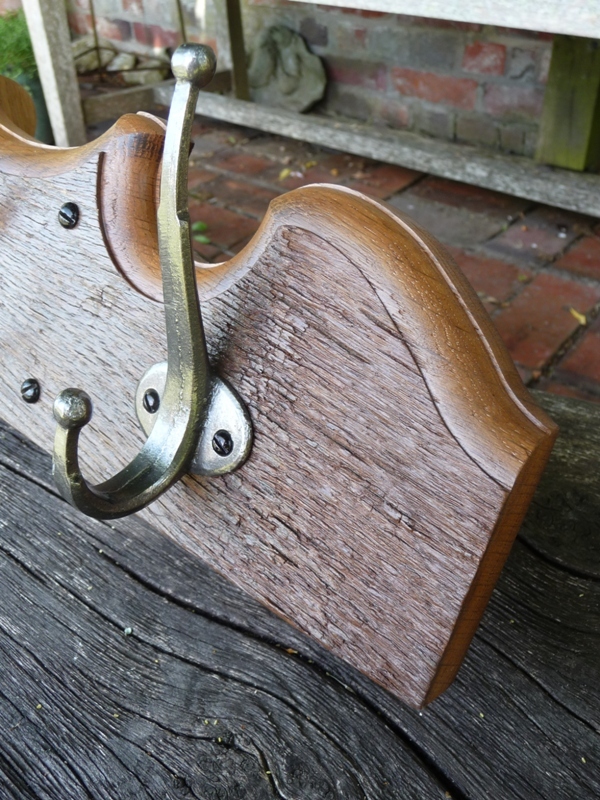 Unashamedly gnarled, holed, hard and heavy but full of character, the Georgian-era design cast iron, acorn-tip hooks make this a design that would sit equally well in a contemporary or traditional setting. 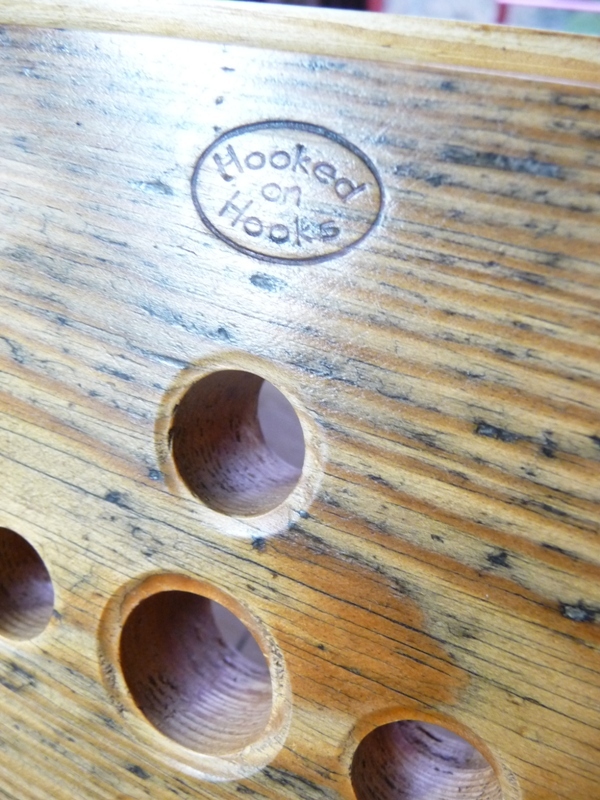 All enquiries: Please contact Steve Gamblin at hello@hookedonhooks.co.uk for all and any information about bespoke hat & coat racks. 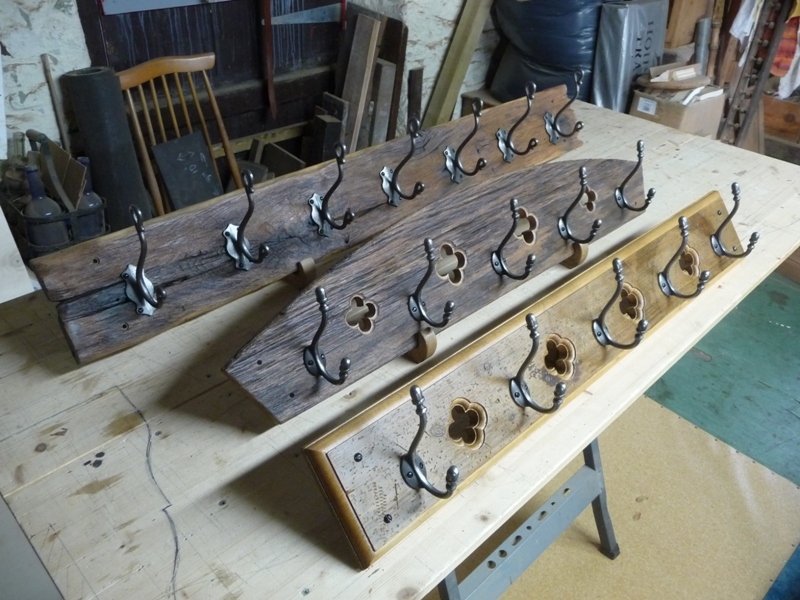 …and turn it into a unique hat & coat rack. 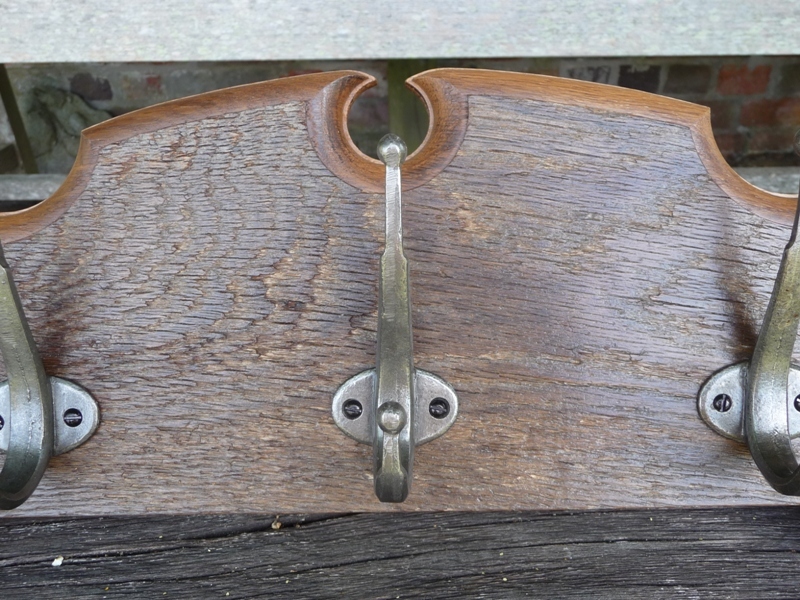 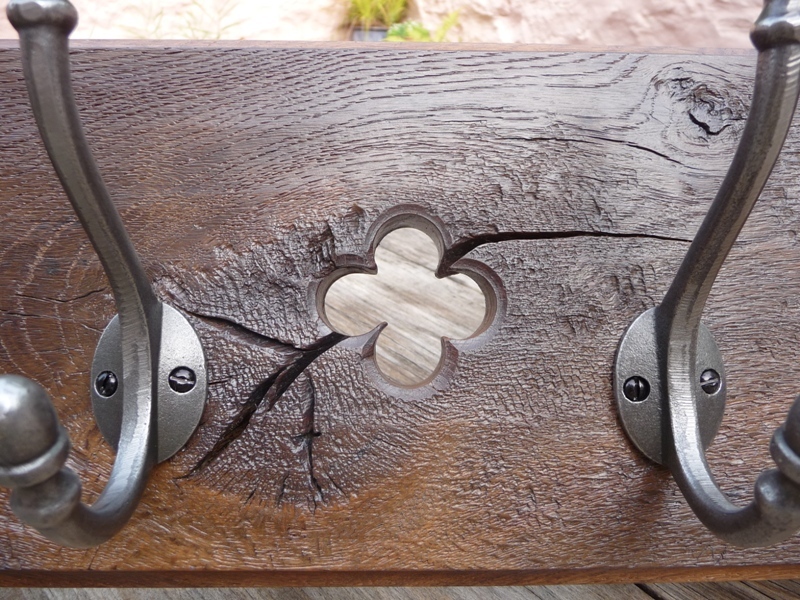 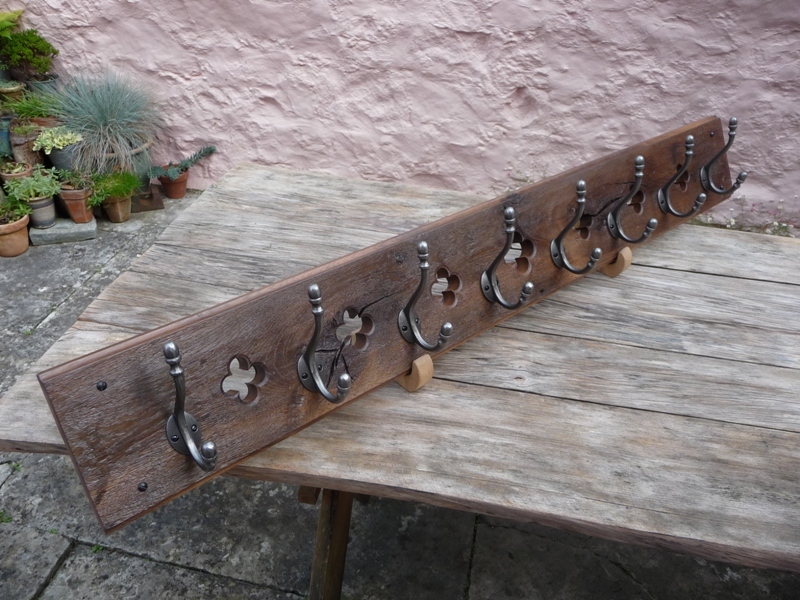 En route to a client in Surrey as I write, this Gothic-look piece is closely based on a previous Hooked on Hooks’ design, also made from a church pew. 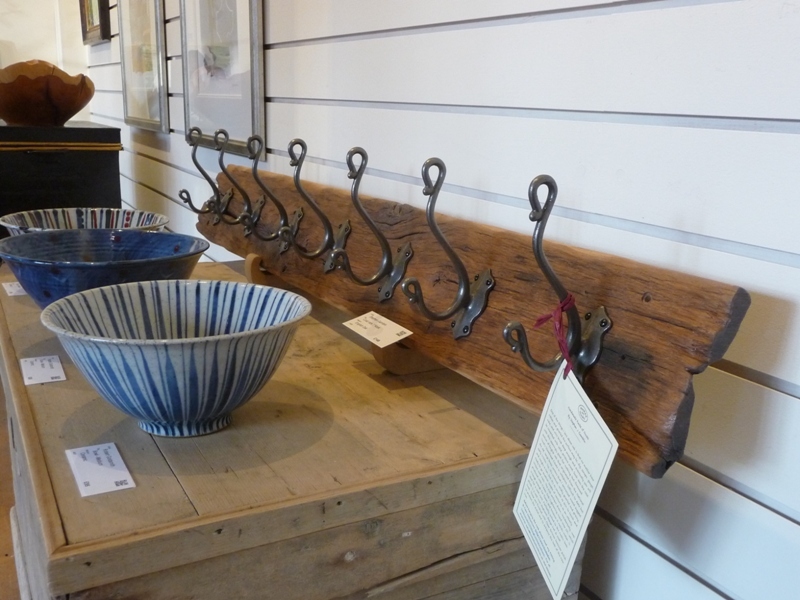 Nothing like a nice pair…. 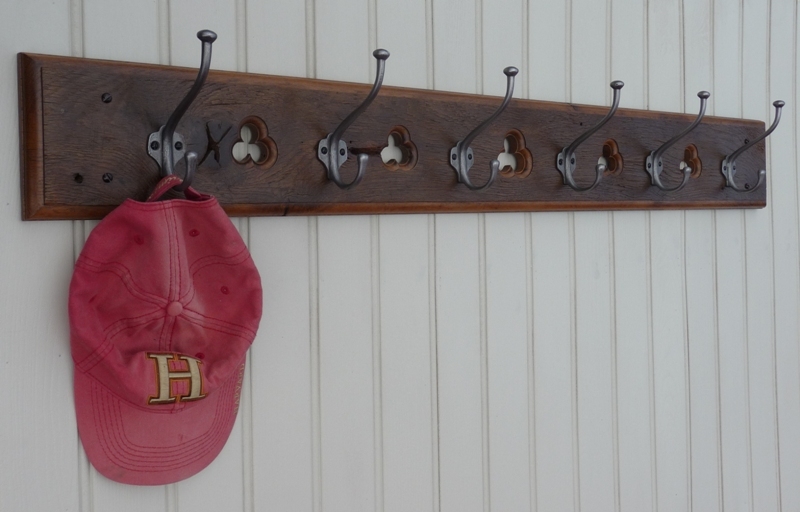 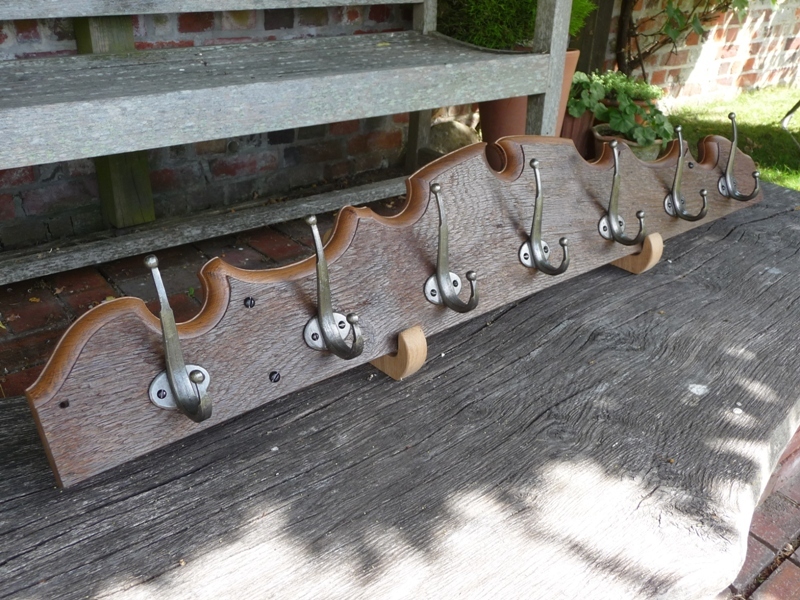 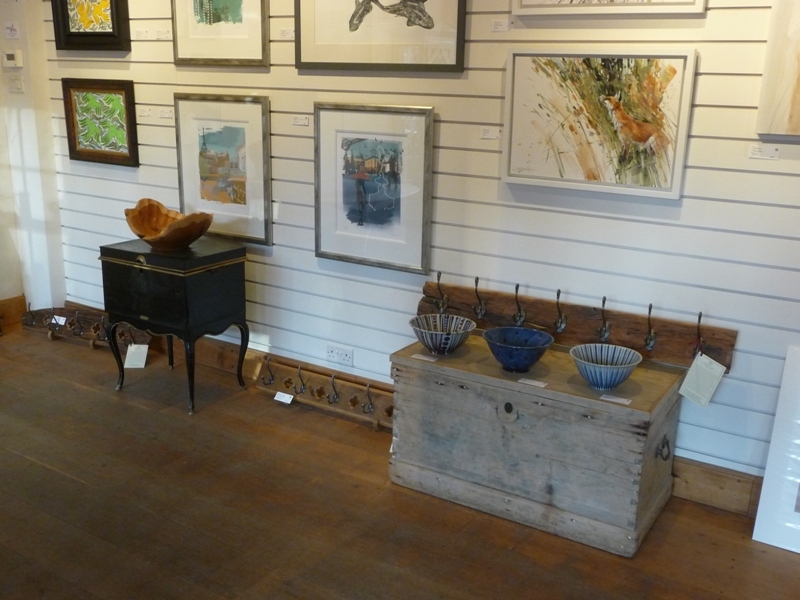 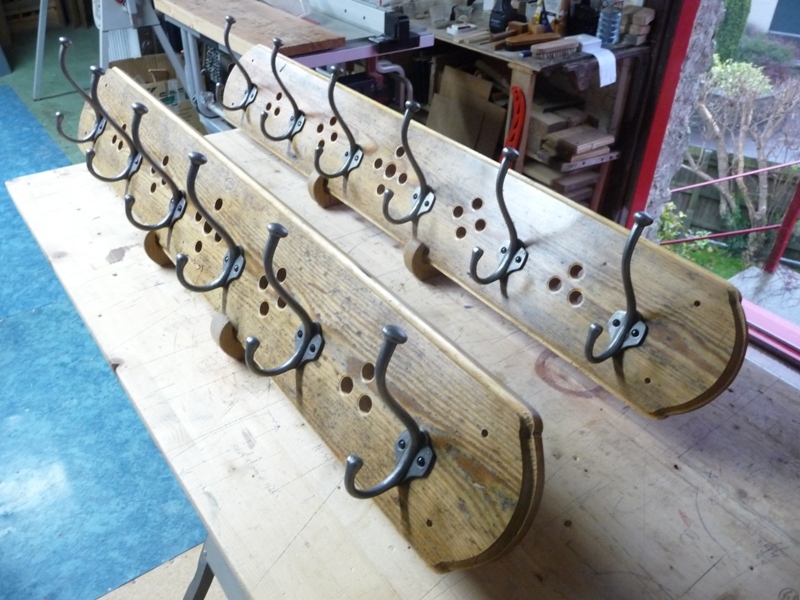 …of handmade, Hooked on Hooks’ hat & coat racks. 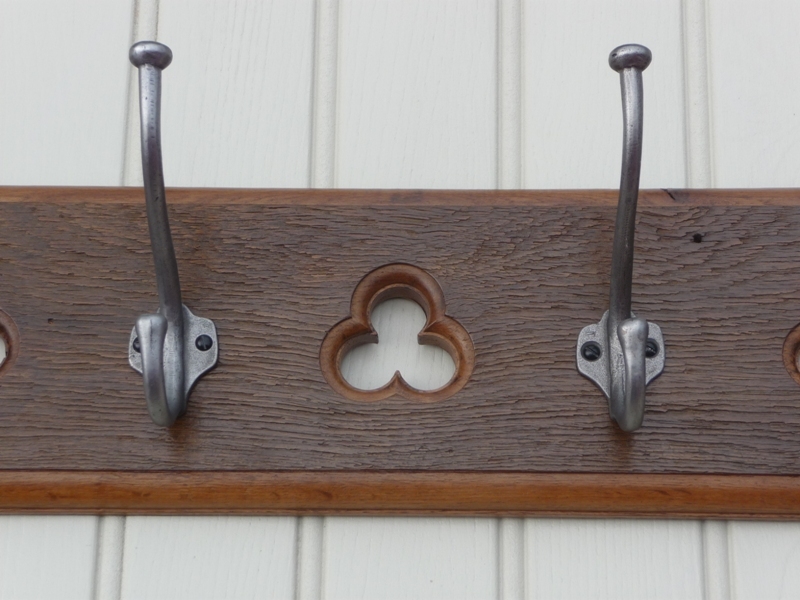 Specially commissioned and already safely ensconced in a home somewhere in Surrey, this design is just one of a million-and-one permutations possible from the Hooked on Hooks’ workshop. 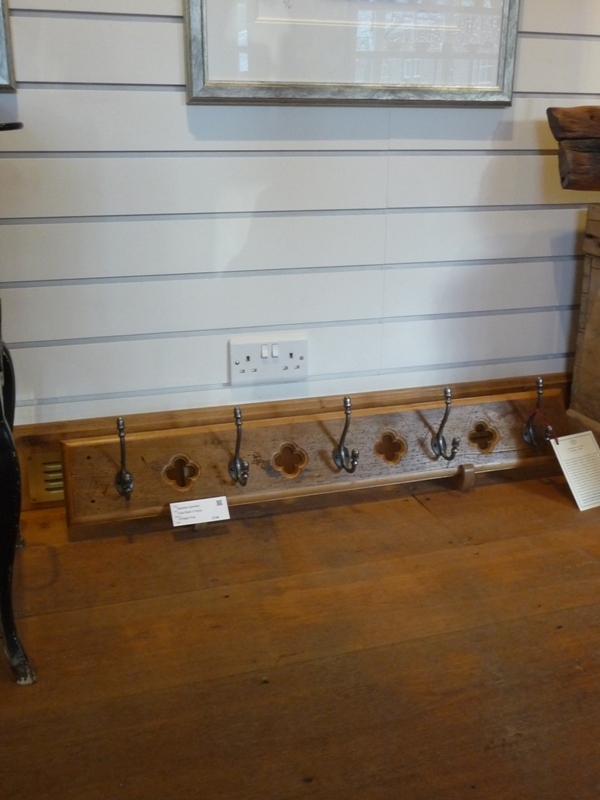 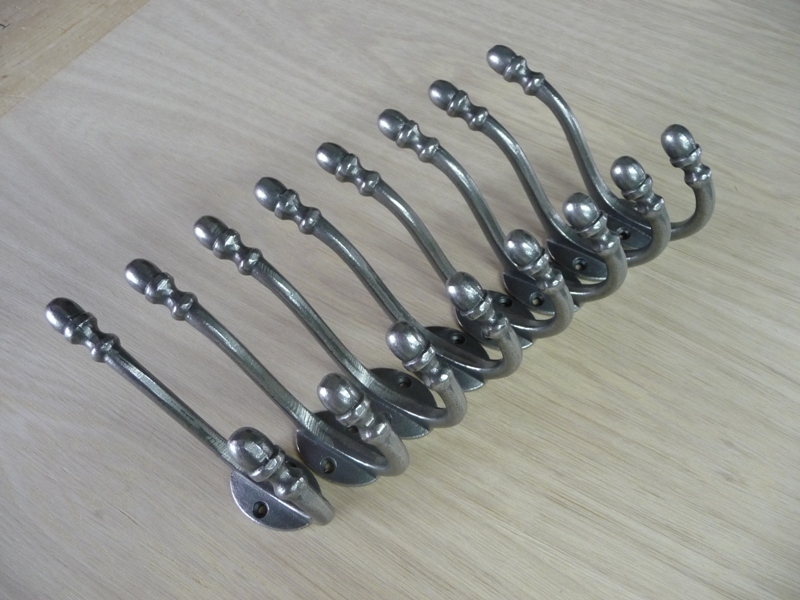 Hooks: Cast iron hat & coat hooks originally designed and produced by the Archibald Kenrick & Sons foundry (1760-1835).